I feel I should attach a warning to this recipe. WARNING: DO NOT MAKE WITHOUT A CROWD TO SERVE! PREFERABLY A BUNCH OF HUNGRY TEENAGERS OR YOUNG MEN IN THEIR TWENTIES. You may have enough self-control to ignore this warning but I wouldn’t chance it. I made them yesterday, for our block party, so I got rid of most of them but not before shamelessly shoving all the leftover pan scraps into my mouth. Unfortunately, I had to bring some home, (very few actual teenagers or twenty-somethings at the block party, go figure) and they are not so subtly calling my name from the refrigerator as I type. It could get ugly. In all seriousness, I was thrilled with how these turned out. 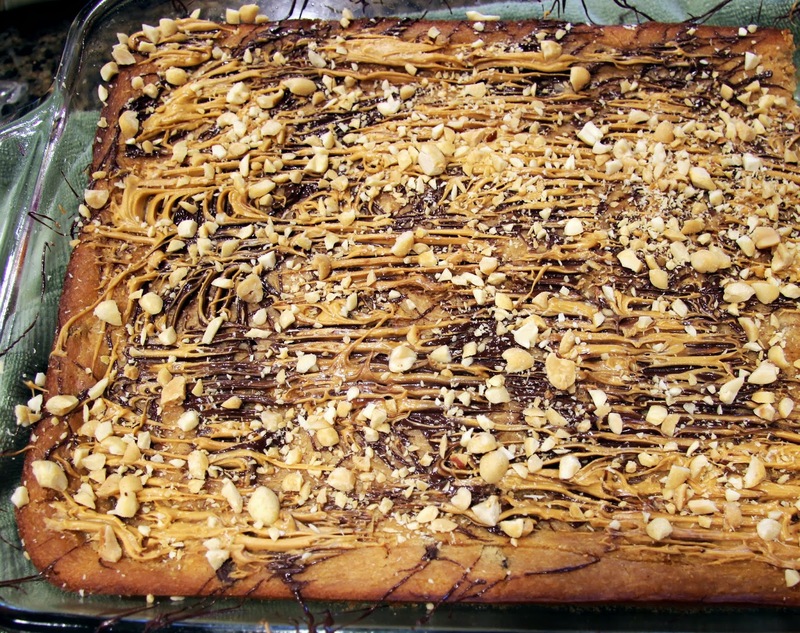 I used to make a peanut butter cheesecake covered with chocolate ganache when I baked at the restaurant that was extremely popular so I took that recipe and tweaked it to come up with these. 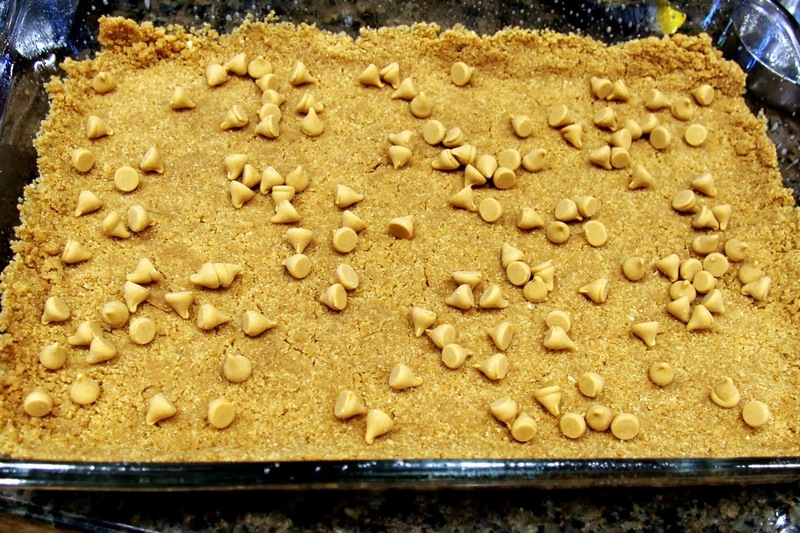 They turned out to be way easier to make (no pesky water bath) and a lot more crowd friendly as it’s hard to cut a cheesecake into bite size squares. 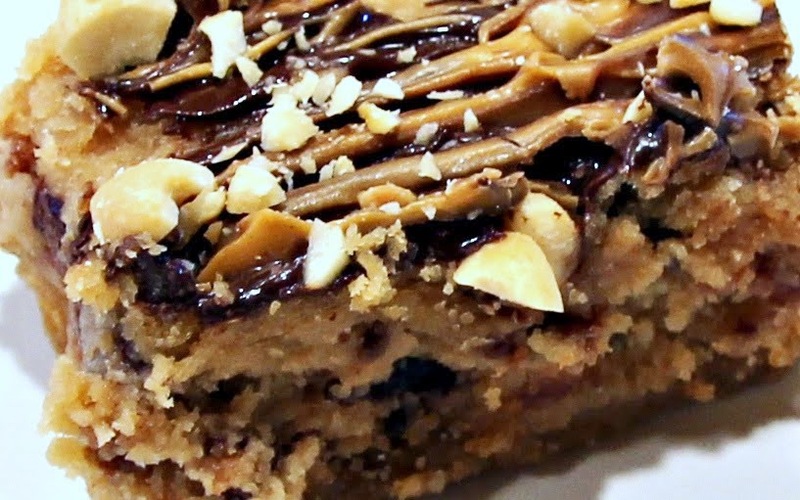 Don’t worry, I’ll post the original recipe someday because it’s a rock star dessert for a smaller crowd. 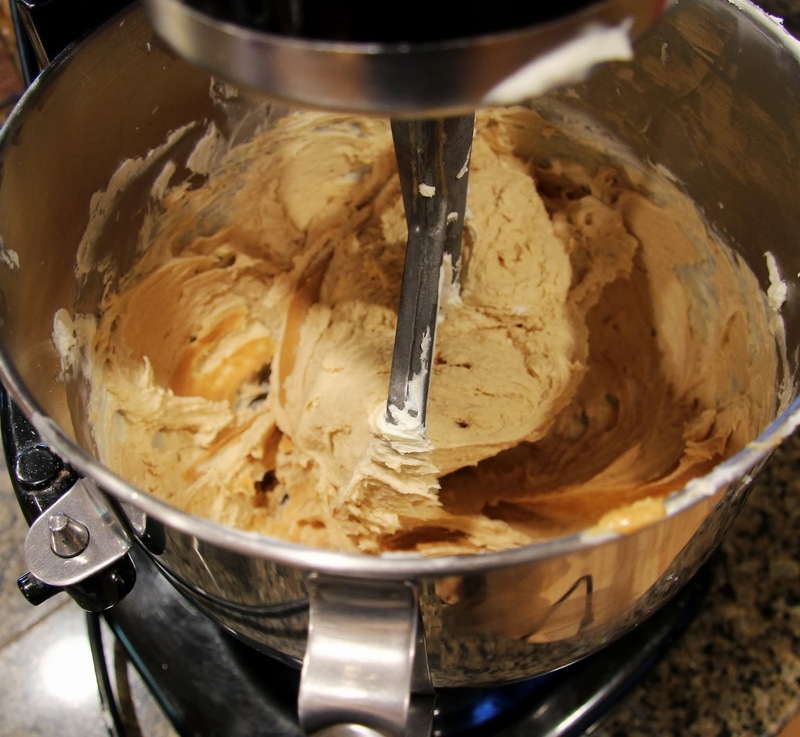 I used semi-sweet and milk chocolate chips as well as butterscotch chips but you can use whatever kind you want. 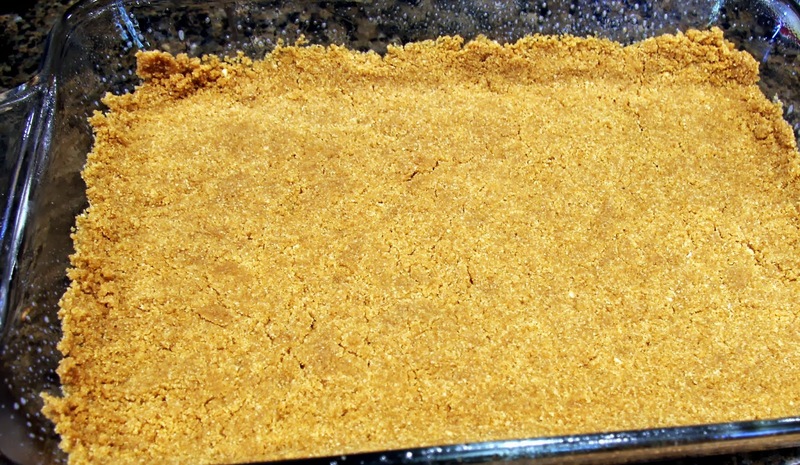 You could also use a chocolate cookie crust instead of graham cracker if you like. As long as you keep the portions the same, you’re good to play around with it as much as you want! Preheat oven to 350 degrees. Coat 9×11 inch pan with cooking spray or oil. 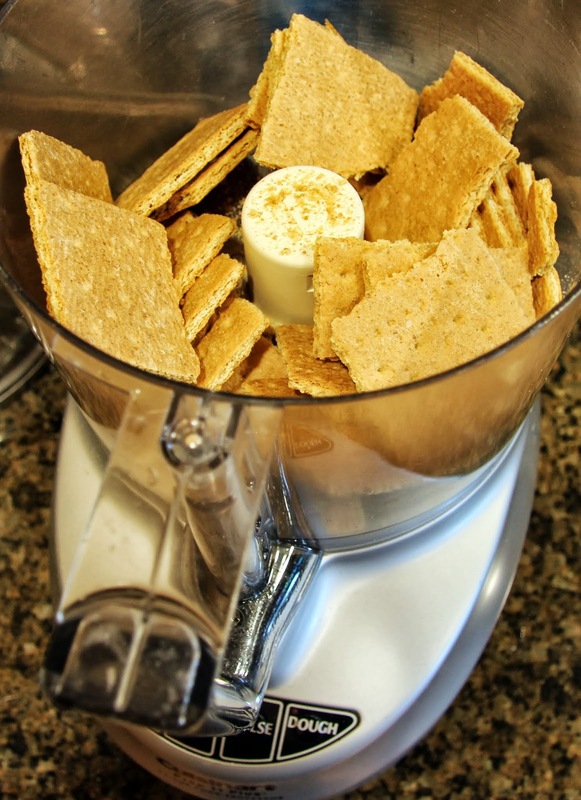 Using a food processor, pulse graham crackers and vanilla wafers until they resemble coarse meal. 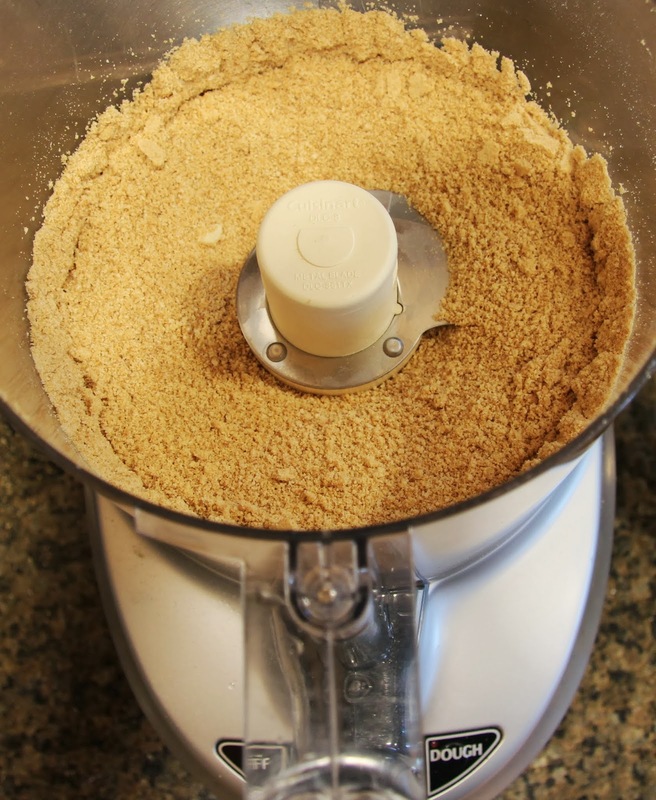 You could also purchase graham cracker meal in the baking aisle of your grocery store, a good choice if you don’t have a food processor. I used vanilla wafers purely out of necessity (I ran out of graham crackers) but I think they added nice flavor to the crust. 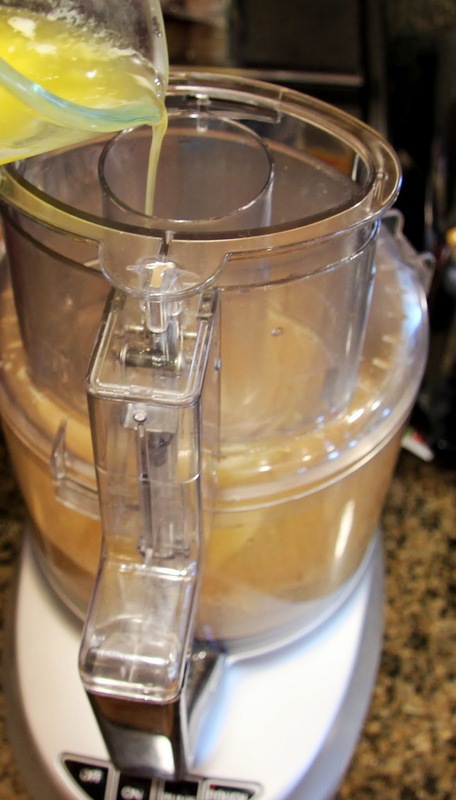 Slowly add melted butter, pulsing until fully combined. 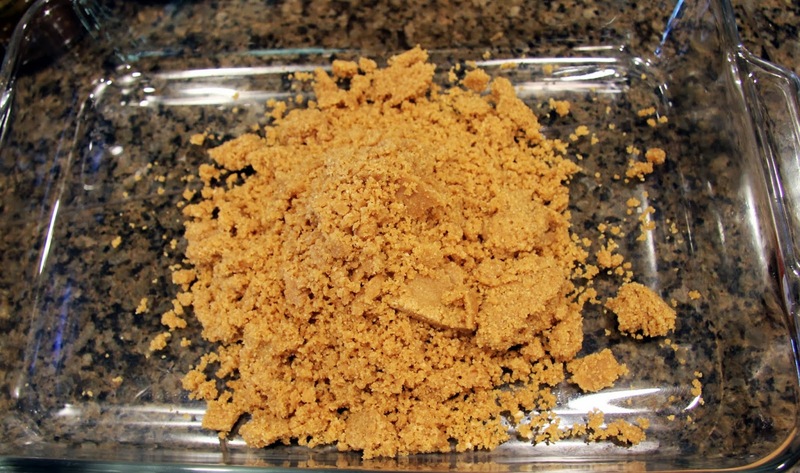 You could also add the melted butter to a bowl of graham cracker meal and combine it with a fork. 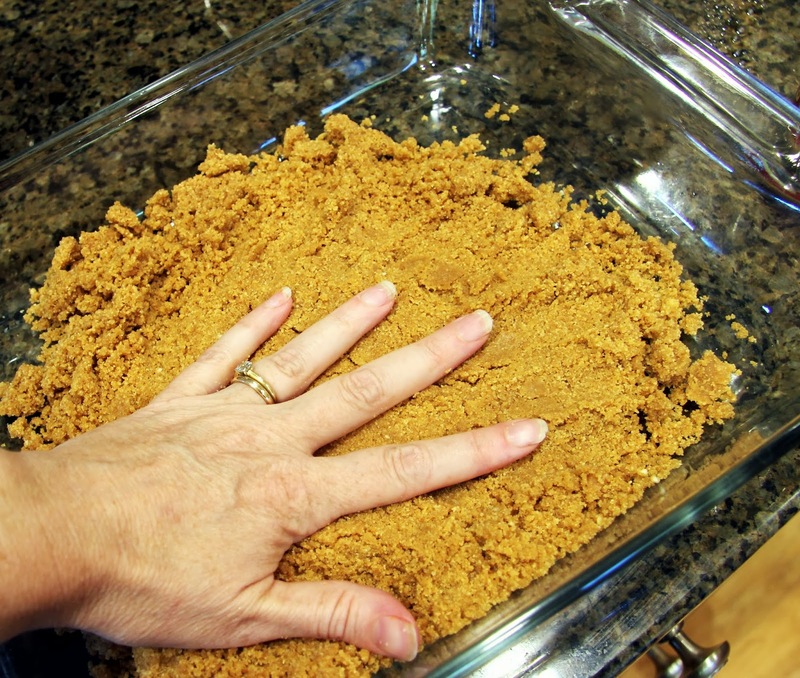 Pour crust in to prepared pan and, using the palm of your hand, press it until it evenly covers the bottom and extends slightly up the sides of the pan. 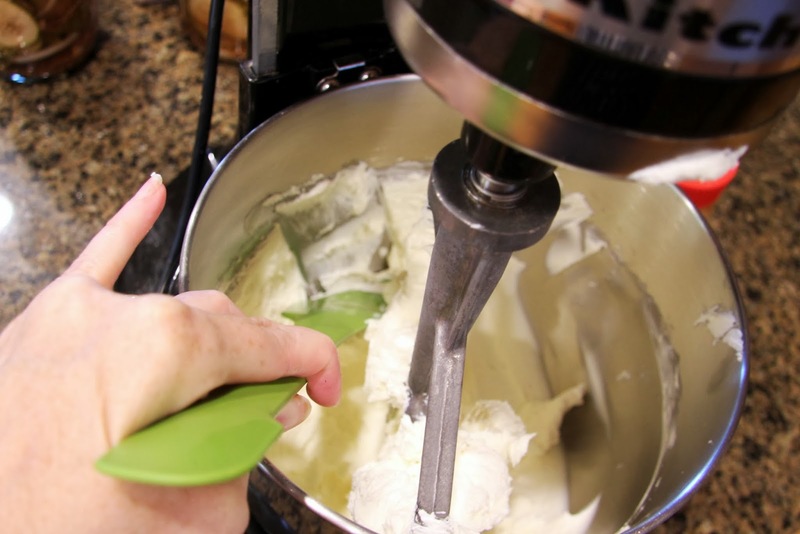 Using a stand mixer or electric beaters, beat the cream cheese until light and fluffy, scraping the sides of the bowl frequently. It helps if it’s not too cold. 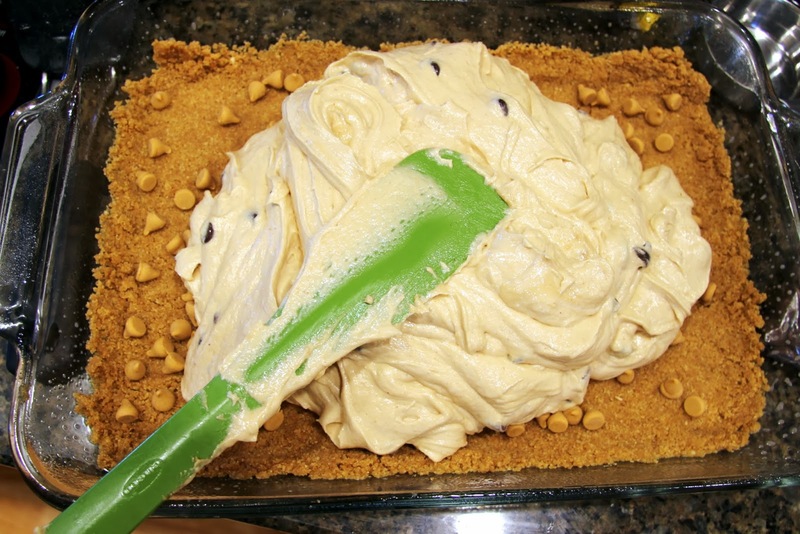 You don’t want any chunks and it should easily come off the sides of the bowl when scraped. 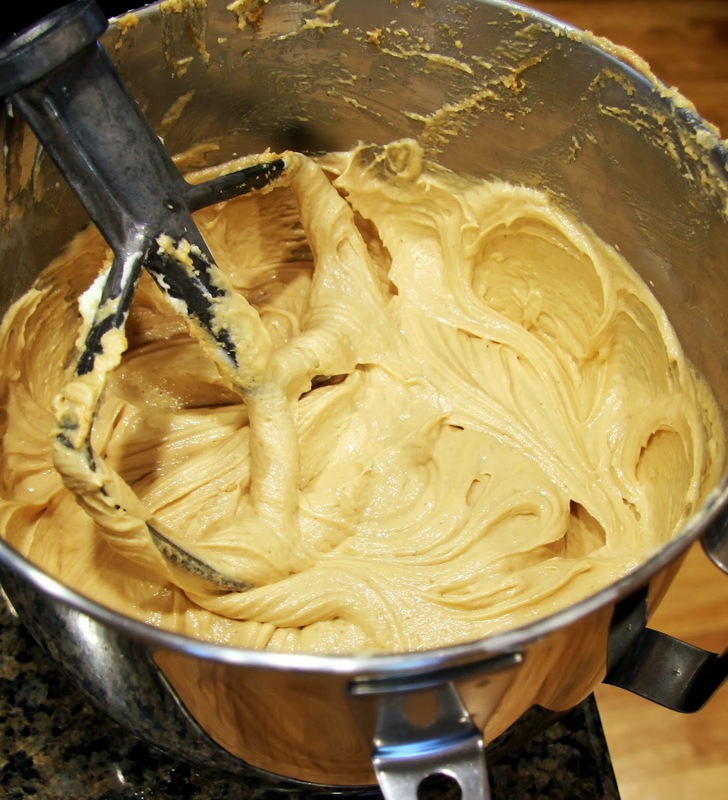 Add peanut butter and beat until smooth. 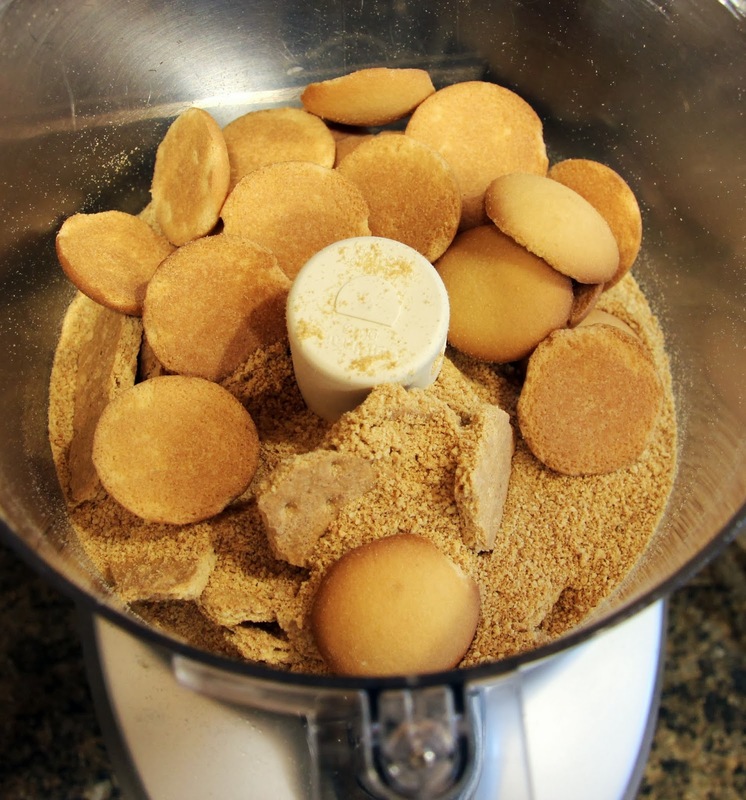 Add sugar, beat until smooth, then eggs, one at a time, and vanilla, beating well after each addition. 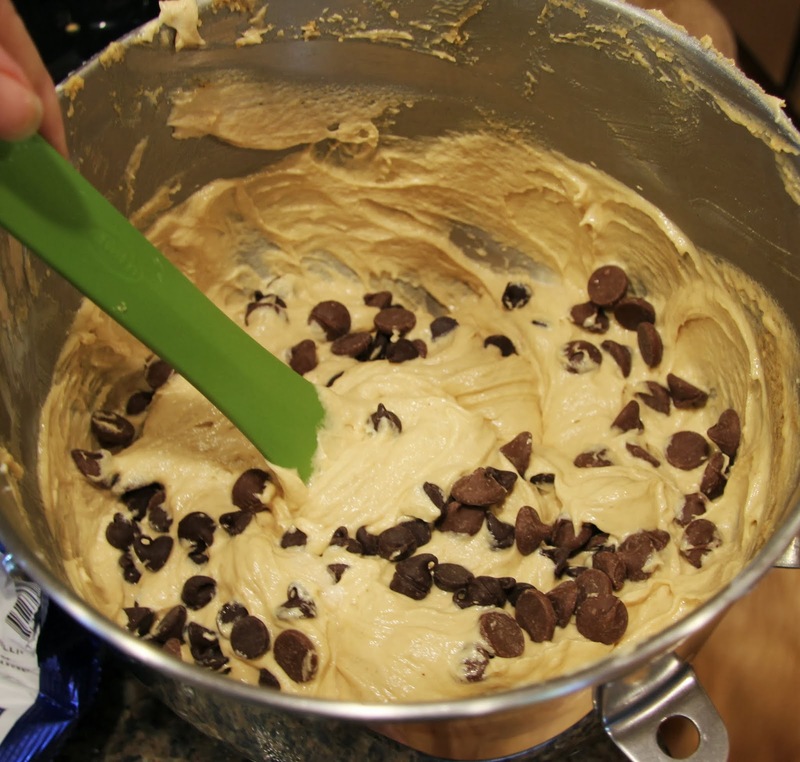 Fold in semi-sweet and milk chocolate chips. 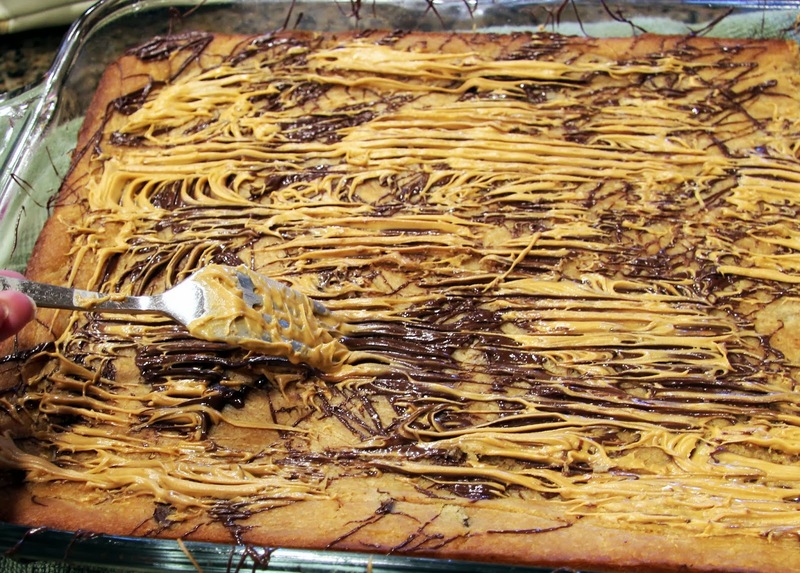 Sprinkle butterscotch chips evenly on top of crust. I’m not really sure why I did it this way but it worked nicely. 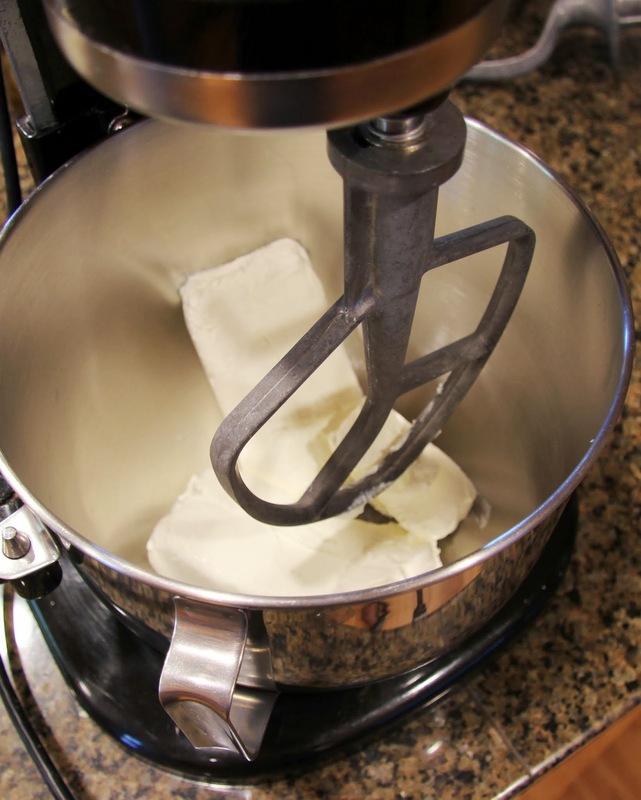 Spread cream cheese mixture evenly in pan. Bake in preheated 350 degree oven for @ 35 minutes. It should be golden brown and slightly cracking on top. 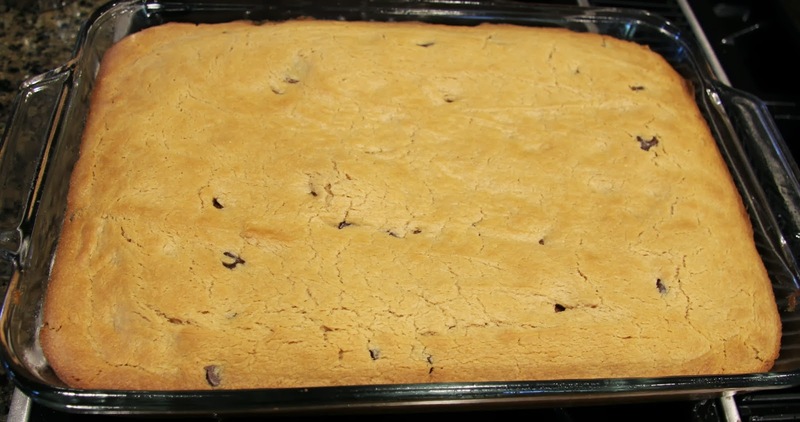 Allow it to cool to lukewarm before putting it in the refrigerator for a few hours to cool completely but don’t leave it in much longer before topping and cutting it or the chocolate chips will be too hard to cut through. Melt semi-sweet chips and butterscotch chips in separate heat safe bowls in the microwave, making sure you don’t get them too hot. I do them in one minute increments, stirring each time I check them, until the chocolate is about 3/4 of the way melted. It’s usually the right temp at that point to melt the rest by stirring. Drizzle the chocolate with a fork over the top of the cheesecake. Don’t even consider perfection here. Follow with the butterscotch chips. Those proved to be trickier to drizzle so I ended up just taking the fork and spreading it on in spots then raking the fork through to make what you see below. 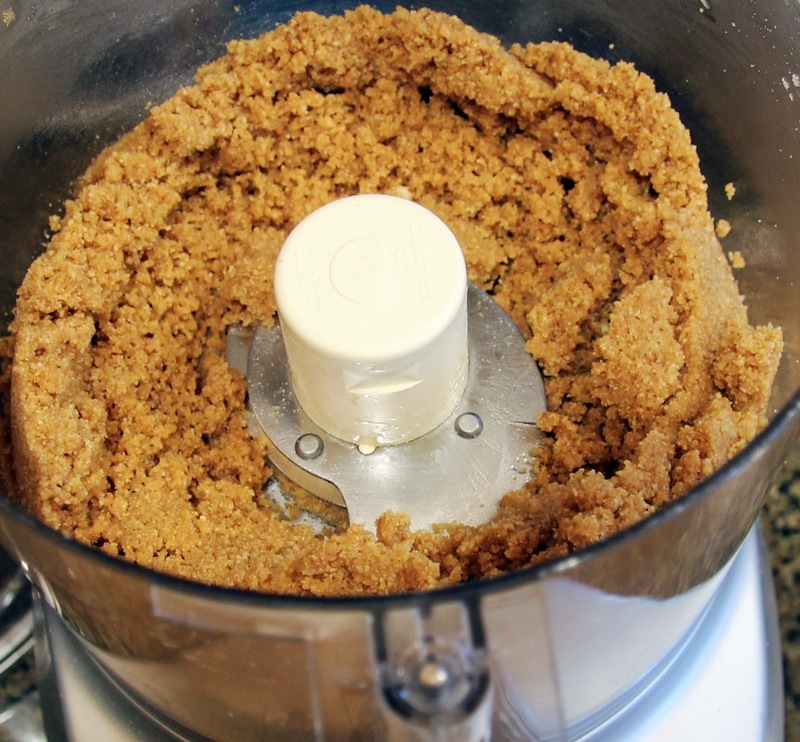 Follow with the chopped peanuts, pressing in slightly so they stick, and it will look fantastic. Refrigerate just long enough for the topping to set, maybe 10 -15 minutes, then cut in to bite size squares or two-bite size rectangles. Keep refrigerated if they are not being devoured right away. I’m trying to work on it every day – it’s exciting really, when you think about life like this… Hope everyone has a fabulous week!